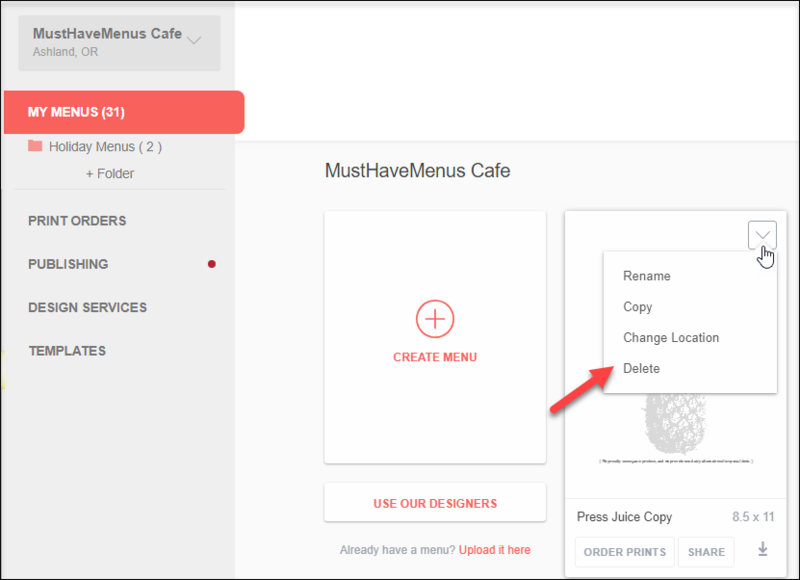 Make sure you are in the Menus tab, then hover over the menu you would like to delete. Click the downward arrow as shown below. Menu tools will appear including delete. Accidentally deleted a menu? Contact our service team as soon as possible. We may be able to restore the menu to your account.